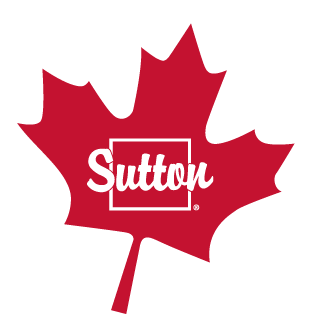 Marchand Homes Joins Forces with Sutton Realty! Sutton Group Professional Realty is pleased to welcome Rebecca and Jeff Marchand of Marchand Homes to the team who join us from Caldwell Banker. This brother and sister duo are third generation REALTORS® and deeply rooted in the real estate industry. They are the prodigy of a highly successful new home builder and REALTOR®. They not only inherited a passion for the real estate market, but also a strong desire to help others with integrity and dedication to clients. Rebecca has a warm, charismatic personality and clients instantly fall in love with her honest and sincere approach. Rebecca’s sunny disposition is a sharp contrast to her strong negotiation skills. It’s no wonder that after only having been in the industry for a few years, she has sky-rocketed to become a top agent. With more than 10 years in the business, Jeff has extensive expertise in new home construction and has a wealth of knowledge in the industry. Whether it’s a new build, or finding an existing home or condo, Jeff provides a service that goes above and beyond client’s expectations. With Jeff’s no-nonsense attitude, Rebecca’s tenacity and attention to detail, and the quality product that is Marchand Homes, this team has it all covered and is the reason their business is growing and thrives on repeat business and referral clients. Both Rebecca and Jeff and the Marchand Homes Team are a tremendous addition to our growing real estate team, and they are looking forward to serving their clients under the Sutton banner. Sutton Welcomes Two Outstanding REALTORS® to the Team! Sutton Group Professional Realty is growing and pleased to welcome back Dan Chisholm and Alex Chisholm, who join us from Coldwell Banker. Dad and son duo have unique backgrounds and bring new areas of expertise and knowledge to the Sutton group. Equipped with high integrity, and professionalism, Dan and Alex’s number one goal is to make the home buying and selling experience as stress-free as possible. You can always count on them to demystify the process and represent their client’s best interests. Both Dan and Alex have been immersed in residential real estate and new home construction, proudly representing Marchand Homes. They help home buyers and sellers understand the market, manage the ambiguities and negotiate the best terms for clients. Dan is a multi-award winning agent who is passionate about the greater community and takes care guiding clients through the ups and downs of Real Estate. Dan’s focus is to ensure the best value and legal clarity for his clients while taking care of the details and being available around the clock. He emphasizes the use of technology and takes pleasure in offering the community a distinctive Real Estate experience and strives for 100% client satisfaction. Just under a year licensed, Alex has been heavily involved in New Construction with Marchand Homes, as well as residential resale. With intelligence and diligence, Alex works energetically to get the job done. Alex is committed to serving his clients with the highest ethical standards and integrity. We are excited about adding fantastic REALTORS® such as Dan and Alex to the team; strengthening our relationships with existing clients and building new partnerships. If you’re an agent interested in a strong brand without high fees and low splits of other companies, contact Jennifer Morrison today and see why so many are making the switch.